This is a great way to use up leftovers from dinner last night or a fresh and tasty lunch on the go! Bake the chicken breasts ahead of time and leave a few in the fridge for delicious lunch options in record time. Cook the No Name Parmesan Crusted Chicken Breast according to package instructions in the oven. When finished, slice into strips. Heat a large tortilla in the microwave for about 15-20 seconds. Pile the lettuce in the middle of the tortilla. 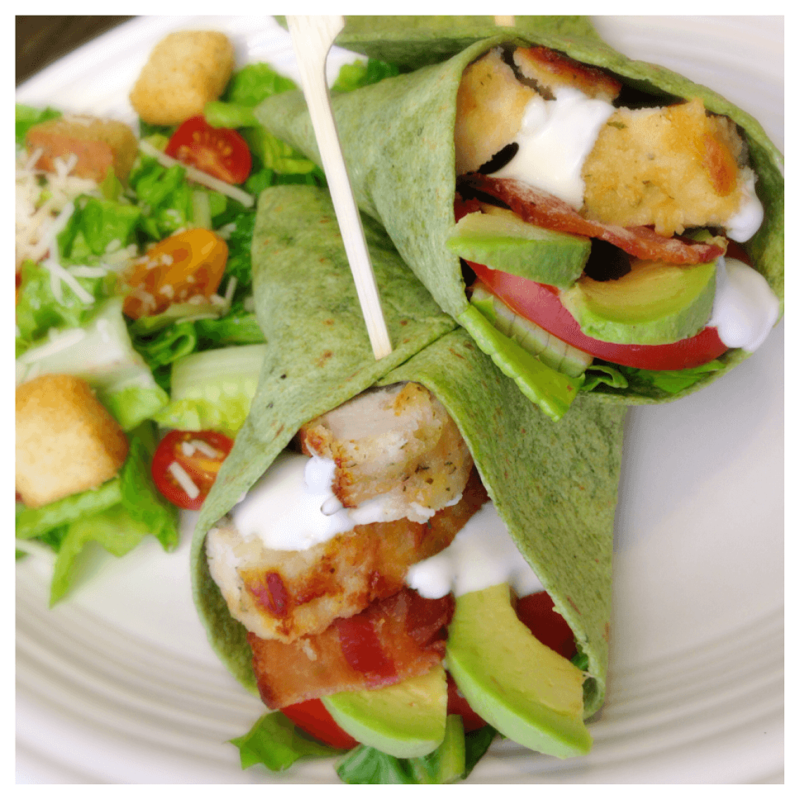 Top the lettuce with the sliced tomato, sliced No Name® Parmesan Crusted Chicken Breast, Bacon and Avocado. Drizzle your favorite Ranch Dressing over the top. Roll the tortilla up like a burrito and slice in half. Serve with a small salad, chips or soup for a great lunch! 2 Tbs Ranch Dressing – use Fat Free for an even lighter lunch!